It’s no secret that employers like to hire people who are confident in their interviews. But how do they judge this? And what are the best ways to show confidence in an interview so you can get hired faster? Practice keeping good eye contact while listening, and equally important- while speaking! (Most people find this harder to do when speaking). There’s nothing more important than eye contact when it comes to showing confidence, and it’s extremely noticeable if you’re staring down or to the side when you talk. Once you’ve made a habit of maintaining eye contact, it’s time to think about your body positions. You want to stand and sit in open positions – arms by your sides, not crossed. Make your body take up a lot of space, rather than making yourself smaller. This is how to seem confident. Photo example: This is the opposite of a “power stance”. This is how NOT to sit. See how she looks “folded up” and is occupying the least amount of space possible? If you want more info and help with body language and “power stances”, here’s a full article on the best body language tips. Be still, and make controlled, calculated movements. Don’t hold a pen or paper and fidget constantly. Be careful not to tap your hands or feet either. Confident people smile. Nervous people grimace or wrinkle their face up and look super serious or distracted. So along with making eye contact like we discussed earlier… smile and try to hold relaxed, calm facial expressions. It’s okay to show you’re thinking about an interview answer, or deciding what to say, but you shouldn’t constantly look like you’re strained and having a miserable time. Nothing’s worse than a limp handshake. It shows a lack of experience in interviews, and a lack of confidence. So practice with friends or family at home. Get it firm but not too aggressive/strong. You need to find a good balance. Once you blurt out an answer in your interview, you can’t get it back. So never be afraid to pause. Also don’t be afraid to ask them to clarify the question if you’re not sure. This is MUCH better than just guessing or “winging it” and blurting out a bad answer before you understand the situation. I talk about this a lot more in my premium interview guide because it’s one of the areas where I see job seekers cost themselves job offers a lot! 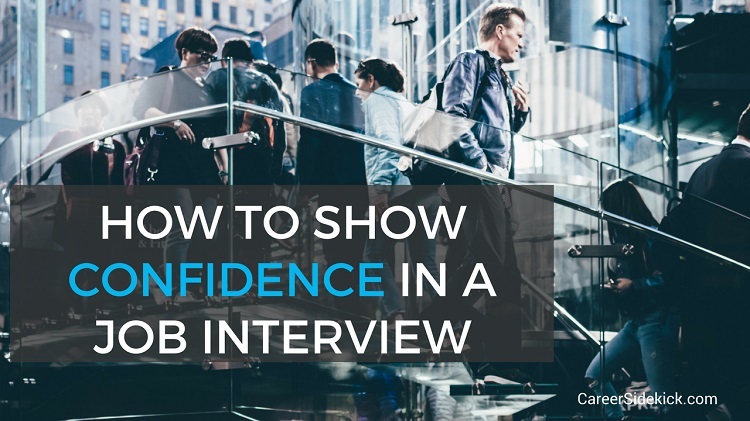 Want to show confidence in your interview? Act like you have a lot of opportunities and are picky and selective about where you go next in your career. This is how the top job seekers treat their job hunt. You’re not looking for any job, or the first job that’ll hire you. You’re looking for the *right* job. If you take this mindset, you’ll seem much more appealing to them. To pull this off, you need to ask great questions throughout the interview. You’re interviewing them while they’re interviewing you. Don’t be cocky or arrogant. You still need to sell yourself and impress them. But you’ll definitely seem more confident if you act like you’re weighing numerous opportunities and that you’re focused on finding the correct fit, not just any job. Don’t be a push-over. Don’t give references on a first phone interview. No top-level job seeker would do this. Are you going to let every company who does a phone interview with you call your references? That’s crazy. Act like you’re in-demand, and if something doesn’t seem right… say so! I’m not saying you should look for confrontations. Be respectful and work with them. Be willing to be flexible. But don’t bend over backward at every request (unfortunately employers make some pretty ridiculous, demanding requests sometimes. And I can tell you the top job seekers… the most confident ones… tell them “no” when necessary). If you can’t make a certain interview date they asked you about, tell them and propose a new date. If they have a few requirements or policies that you’re not 100% comfortable with or aren’t clear on, ask them. Don’t be afraid to speak up and ask questions about the process. Don’t just say “yes, okay” to everything they tell you. You have just as much control of the process as they do IF you can get this mindset down! There’s one of you, and MANY jobs out there. Act like it. When you’re nervous you tend to plan what you’ll say and miss an opportunity to bond with the hiring manager. Focus on listening. If they make a joke, you want to catch it and laugh. If you’re too busy thinking about what to say next, you’re going to mess this up and seem awkward and tense. So actually listen, and then pause and think about how to respond SLOWLY (I mentioned this earlier. If you skimmed the article instead of reading you missed it and a lot more). Don’t sit there planning your responses and waiting for your turn talk. If they ask “why did you apply for this position?”… or “why do you want this job?” you need a good answer. They aren’t going to hire someone who doesn’t seem to care about what type of job they get. The most confident job seekers know exactly what they want, and can explain it clearly and quickly. Showing confidence in interviews will help you make a better first impression and be more memorable so you can get more job offers. 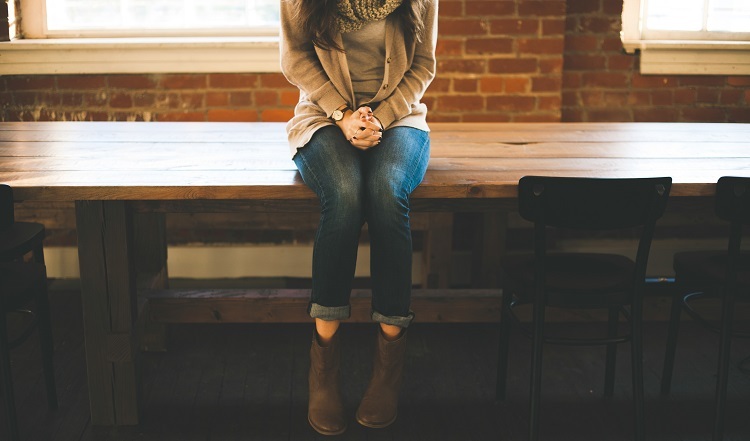 You’ll also start to FEEL more confident if you use these steps in your interviews. So it’s a win-win. You’ll be more relaxed and be able to give much better answers.